Prague is a city in southeastern Lincoln County, Oklahoma, United States. Start off your visit on the 17th (Sat): take in the spiritual surroundings of National Shrine of the Infant Jesus of Prague, have fun and explore at Jasmine Moran Children's Museum, and then do a tasting at StableRidge Vineyards. To find more things to do, ratings, maps, and other tourist information, refer to the Prague trip app . Tel Aviv, Israel to Prague is an approximately 23-hour flight. The time zone difference when traveling from Tel Aviv to Prague is minus 8 hours. Traveling from Tel Aviv in November, you will find days in Prague are slightly colder (20°C), and nights are cooler (5°C). Wrap up your sightseeing on the 17th (Sat) to allow time to travel to Santa Fe. On the 18th (Sun), take a memorable drive along The Plaza, then admire the natural beauty at Absolute Nirvana Spa & Gardens, then take a stroll through Canyon Road, and finally pause for some serene contemplation at The Cathedral Basilica of St. Francis of Assisi. To find maps, photos, more things to do, and more tourist information, refer to the Santa Fe journey planner. The Route module can help you plan travel from Prague to Santa Fe. Due to the time zone difference, you'll gain 1 hour traveling from Prague to Santa Fe. Plan for a bit cooler temperatures traveling from Prague in November, with highs in Santa Fe at 14°C and lows at -1°C. Wrap up your sightseeing on the 18th (Sun) to allow time to travel to Albuquerque. Albuquerque remains one of the state's secret jewels, as its tourist attractions are often overshadowed by the more popular holiday destination of Santa Fe. Start off your visit on the 19th (Mon): get curious at Explora Science Center and Children's Museum of Albuquerque and then get to know the fascinating history of Albuquerque Old Town. To see more things to do, photos, maps, and more tourist information, refer to the Albuquerque trip planning tool . Getting from Santa Fe to Albuquerque by bus takes about an hour. Other options: drive; or take a train. Traveling from Santa Fe in November, expect somewhat warmer with lows of 2°C in Albuquerque. Finish up your sightseeing early on the 19th (Mon) so you can travel to Las Vegas. Head to The Strip and The Grand Canal Shoppes at The Venetianfor plenty of shopping. Your cultural itinerary includes sights like The Mob Museum and The Neon Museum. And it doesn't end there: explore the stunning scenery at Red Rock Canyon National Conservation Area, make a trip to Bellagio Fountains, enjoy breathtaking views from Eiffel Tower Experience at Paris Las Vegas, and admire the natural beauty at Bellagio Conservatory & Botanical Gardens. Quickly create a custom-made itinerary for Las Vegas using our trip planner. You can fly from Albuquerque to Las Vegas in 4 hours. Other options are to drive; or do a combination of train and bus. Traveling from Albuquerque to Las Vegas, you'll gain 1 hour due to the time zone difference. Traveling from Albuquerque in November, things will get somewhat warmer in Las Vegas: highs are around 23°C and lows about 9°C. Wrap up your sightseeing on the 22nd (Thu) early enough to travel to San Diego. 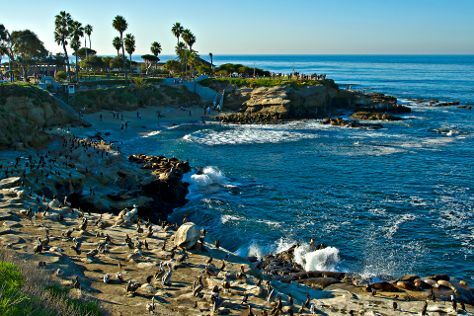 You'll get in some beach time at La Jolla Cove and Children's Pool. Do some cultural sightseeing at USS Midway Museum and Maritime Museum of San Diego. There's still lots to do: admire nature's wide array of creatures at San Diego Zoo. To find reviews, photos, more things to do, and tourist information, you can read our San Diego planner . Getting from Las Vegas to San Diego by flight takes about 3.5 hours. Other options: drive; or take a bus. Traveling from Las Vegas in November, plan for somewhat warmer nights in San Diego, with lows around 16°C. Cap off your sightseeing on the 25th (Sun) early enough to go by car to Los Angeles. Get some cultural insight at The Getty Center and Griffith Observatory. Visit Will Rogers State Beach and Venice Beach and Boardwalk for some beach relaxation. 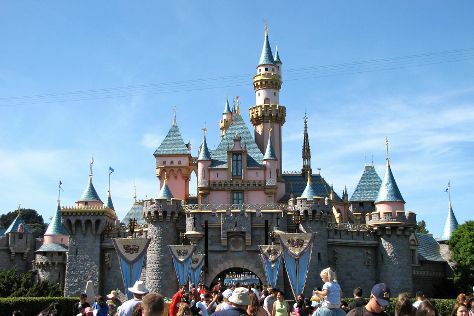 Go for a jaunt from Los Angeles to Anaheim to see Disneyland Park about 30 minutes away. Pack the 29th (Thu) with family-friendly diversions at Universal Studios Hollywood. There's still lots to do: immerse yourself in nature at Santa Monica State Beach, take in the waterfront at Santa Monica Pier, explore the world behind art at Los Angeles County Museum of Art, and get to know the fascinating history of Hollywood Walk of Fame. For traveler tips, ratings, and tourist information, refer to the Los Angeles day trip tool . Drive from San Diego to Los Angeles in 2.5 hours. Alternatively, you can take a bus; or fly. In November, daily temperatures in Los Angeles can reach 28°C, while at night they dip to 15°C. Finish up your sightseeing early on the 30th (Fri) so you can travel back home.